Compare the temperature in your area to other locations in the UK and around the world. Clinical finishing is the difference as Ipswich Town end Reading's five-match unbeaten run. 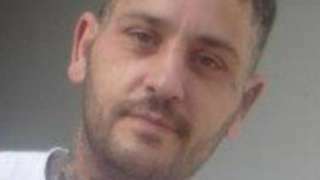 Dean Stansby was stabbed in the abdomen in Ipswich and died in hospital. 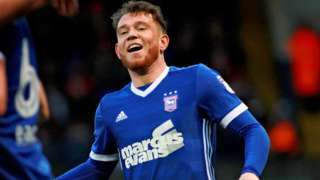 Defender Tommy Smith and striker David McGoldrick could both be in the Ipswich Town squad for tomorrow's match with Reading, having returned to full training this week. Goalkeeper Dean Gerken will again be absent along with midfielders Tristan Nydam, Tom Adeyemi and Emyr Huws. Huws, who only recently returned to action after a long term injury, has been ruled out for the season with a knee problem. Asked today if he had his eye on a replacement for the Welshman, manager Mick McCarthy said: "Yes, Teddy Bishop. I'd like Teddy to be as fit as he can be, and why would I look anywhere else if I can get him? "I don't think he is ready to play 90 minutes at the moment, but he is at least ready to play, and when he's been coming on in games he has looked far better. He's also training well." A marine engineering company based in Dover has gone into administration, with the loss of 106 jobs. Burgess Marine also had premises in Lowestoft, Southampton, Poole, Portsmouth, Portchester, Avonmouth, Devonport and Palma de Mallorca in Spain. The administrators, BDO, said it was due to not receiving the final payment for a major refit project carried out at Porchester earlier this year. Burgess Marine's bases in Lowestoft, Avonmouth and Poole are continuing to trade as normal after they were bought by Southampton ship repair company Southampton Marine Services Ltd, saving 45 jobs. 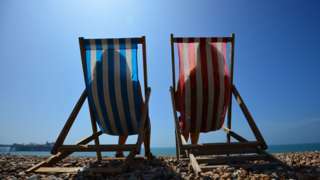 The Dover HQ employed 32 people, four of whom have been kept on to help with the winding down of the firm. Regrettably, difficult trading conditions and a shortfall in the company's working capital position - contributed to by a failure to secure the final payment due in regard to a recent major refit project - significantly affected the business and its ongoing viability." 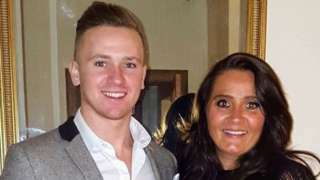 RAF airman Corrie Mckeague was last seen in September 2016 during a night out in Suffolk. Bury St Edmunds will be aiming to avoid a third successive defeat tomorrow afternoon, although that will be easier said than done. The Wolfpack - who lost to table-topping Chinnor last weekend - are away to second-placed Cinderford in National League Two South. The hosts have won 13 of their 14 games so far, scoring 556 points in the process. "In the past they've been pretty forward-orientated," head coach Ollie Smith told me. "They've had a successful season so far, beating a good Taunton side recently. "Any team in this league wants to have a strong home record and Cinderford are no different. We'll go down there expecting a physical battle, from a team that's pretty well-drilled, and it's a challenge for us." Ed has collaborated with everyone from Stormzy to Beyonce to Eminem this year, so it was a natural progression that he would make his move into the world of classical music. Watch above as Ed puts his GCSE Italian to good use on the track that already currently sits at number one in the charts, featuring Beyonce. Andrea's entourage seem pretty impressed with Ed's efforts. The introduction of the Tuscan singer will surely give the song another boost and make it favourite for the Christmas number one slot next Friday. If any of you lot have ever taken Italian classes, then now is your chance to shine. And if you're not already familiar with the work of Mr Bocelli ,please allow us to indulge in a bit of Friday morning Nessun Dorma action below. Mildenhall Fen Tigers are a step closer to confirming their team for 2018 after snapping up Josh Bailey as their new number one. The 20-year-old, who rode for Eastbourne this year, will join Danny Ayres, Sam Bebee, Jordan Jenkins, Drew Kemp and Matt Marson at West Row. "Josh is another big signing for Mildenhall, Like Danny Ayres, he's an out-and-out number one in the National League," said promoter Kevin Jolly. "I am sure they will work well together and also challenge each other at the top of the team. This top-end strength had been missing on away tracks last season and we want to be a threat whereever we ride next season." Mildenhall hope to finalise their line-up over the weekend. 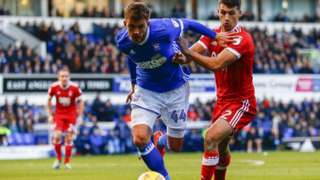 After being ruled out of action for the rest of the season, Ipswich Town midfielder Emyr Huws has expressed his gratitude for the support he has had since the news broke. The 24-year-old has undergone knee surgery this week after hobbling off at Middlesbrough last Saturday. It was only his third start of the campaign after overcoming an achilles problem. Neonicotinoids have increasingly been linked to problems in bee populations. Ipswich Town midfielder Emyr Huws is ruled out for the remainder of the season with a knee injury. The budget for the regeneration of a town centre square could increase to £3.6m. The Bury St Edmunds head coach has told me he plans to shuffle his pack in the new year, with departures likely from The Haberden. "We have a couple of players moving on for various reasons, just after Christmas," Ollie Smith said. "That'll get announced by the club at some point, and they go with our best wishes. "We'll be looking to bring a couple of guys in, but not heaps and heaps. "It's about giving the guys that we've got opportunities through the second half of the season. Although it would be nice to have a fresh voice in the group." Bury are currently sixth in National League Two South. Suffolk Police is giving people the chance to see what they deal with on a daily basis through social media. The force has taken to Twitter to show the type and volume of calls it gets over 24 hours. 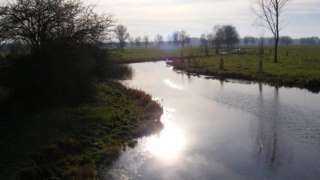 It started at 07:00 and calls so far include reports of a stolen vehicle, an injured deer, harassment, "neighbour issues" and thefts of wallets and purses. People on BBC Suffolk's Facebook page have been commenting for and against the project to spend up to £3.6m giving Ipswich's Cornhill a makeover. Jennifer Hill calls it a "dreadful waste of money", but Tammy Chambers says "something needs [to be done] to make it look better than it does now". 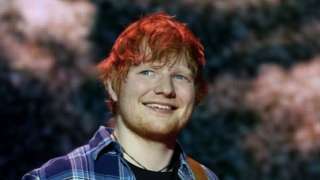 Four men, including one Briton, have been jailed in Singapore for using a forged tickets for an Ed Sheeran concert. Martin Joseph Keane, along with Australian Paul Cosgrove and two New Zealanders, obtained and used the fake passes to bring fans into the sold-out concert in Singapore in November, local media reports. They made more than S$2,000 (£1,100) from fans, said prosecutors. Another Briton, Luke Simon McKay, has also been charged for his involvement, and his case is pending. Armed robbers struck at a convenience store, threatening staff with a handgun before making off with cash from the till. Two men went into McColl's in Maidenhall Green, Ipswich, at about 20:00 on Wednesday. One suspect is described as wearing black tracksuit trousers, a blue zipped hooded top with another black hooded top underneath this, and a pair of black leather gloves. The second wore a black hooded coat, black tracksuit trousers and white trainers. Both men were about 5ft 7in (1.7m) to 5ft 9in (1.75m) in height and both were wearing scarves. An Australian is the fourth foreigner jailed for using fake passes to bring fans into a Singapore gig.